​Dr. Gerardo Ojeda-Ebert is an accomplished and dedicated sociologist, entrepreneur, strategic business developer, as well as public relations & marketing communications consultant, with a wide international expertise. 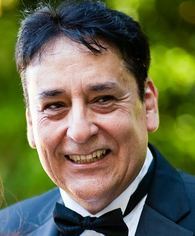 He has worked for over 20 years as a professional counselor, Transformational Life Coach, facilitator and trainer. Dr. Gerardo Ojeda-Ebert created the Life Integration™ counseling & coaching modality in Europe in 1998, centered in the balanced integration of disowned parts of the self on a conscious and subconscious level. He currently works internationally as a transformational Life Integration coach, facilitator and trainer.